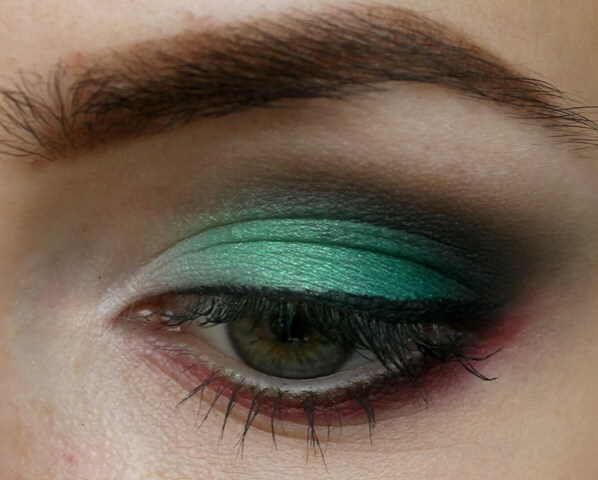 Ooh, I LOVE this turquoise look. It's perfect for a summer night out on the town. The more neutral one is very pretty too; I especially like the hints of gold at the inner corners and blended into the crease. Thank you!! I love it also. It's possible to do so many looks with this colour :) The other one is more modern, catwalk make up :) Thank you for visiting !